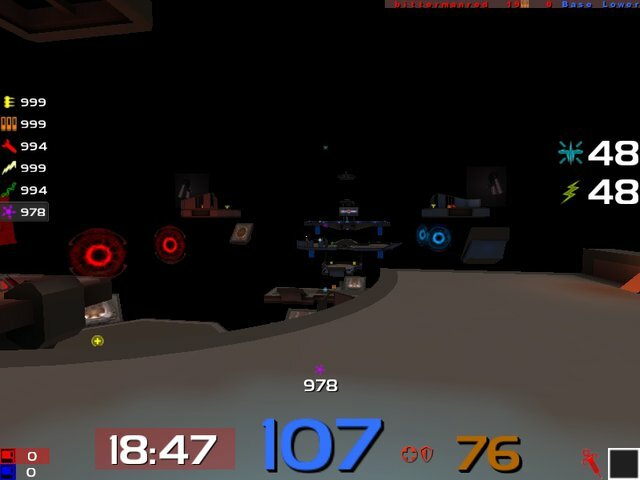 Description: New HUD, CTF only. Scores, Leveltimer background, Health icon and Armor icon are team colorized. I increased the Health textsize to 1.5 because of its more importantcy (overall and) over the armor. Everything is scaled to its importantcy and amount of use and is shown @ the bottom of your screen. The health and armor are indicated with 3 different colors to keep it as simple/easy as possible: 0-30 Red (blinking, at health only), 31-99 some sort of orange, 100-200 Blue. Ammo counter switch to red when reaching 5 or less.